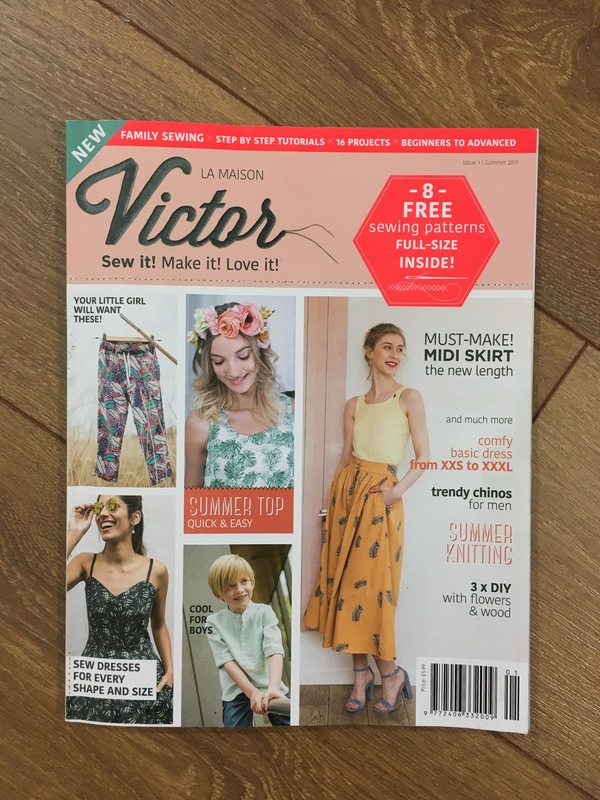 La Maison Victor, if you haven’t heard of it already, is a modern sewing mag from Belgium that’s just recently been released in English. 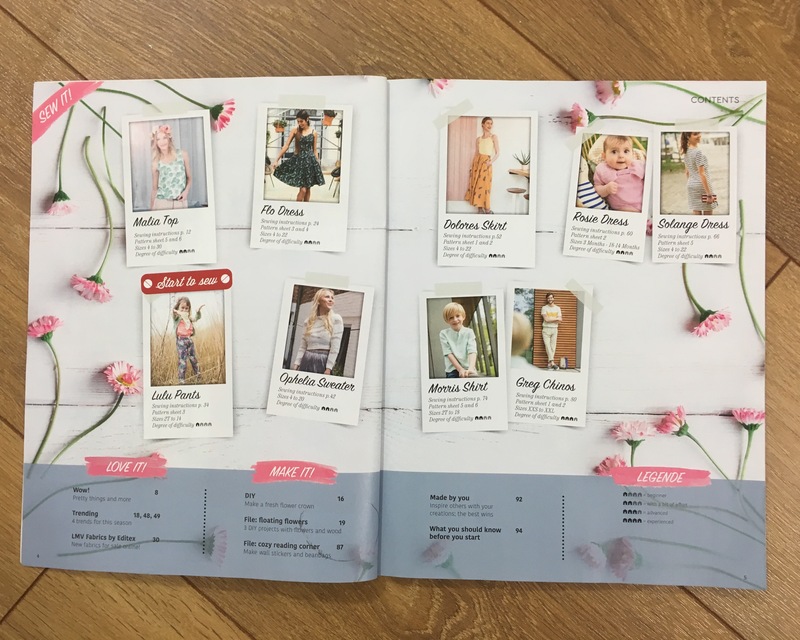 They’re known for on trend designs and feature 8 or so full sized sewing patterns for women, men and children in each magazine with instructions. I got hold of their first English issue a few weeks ago (thanks Alex!) and it is full of goodies! I love their styling and layout. Pattern-wise, I particularly liked their midi skirt, summer dress and the top with the bust gathers. The only thing I wasn’t so keen on was the overlapped patterns with no seam allowances. I know that this is standard for magazine patterns but it bugs me all the same! I think I’m just getting lazy in my old age! I decided to start with the Malia top just for something easy to do. 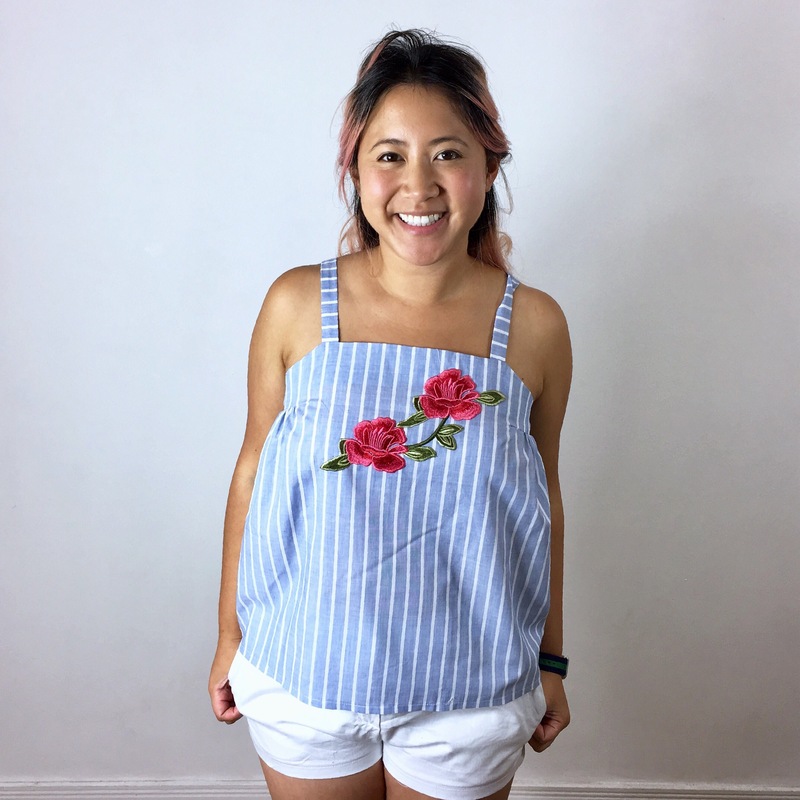 I like the interesting placement of the bust dart and gathers and though it would make a nice summery top (even though summer is kinda over)! I used a piece of fabric from my Sewing Weekender goodie bag (I think it’s from Adam Ross Fabrics). 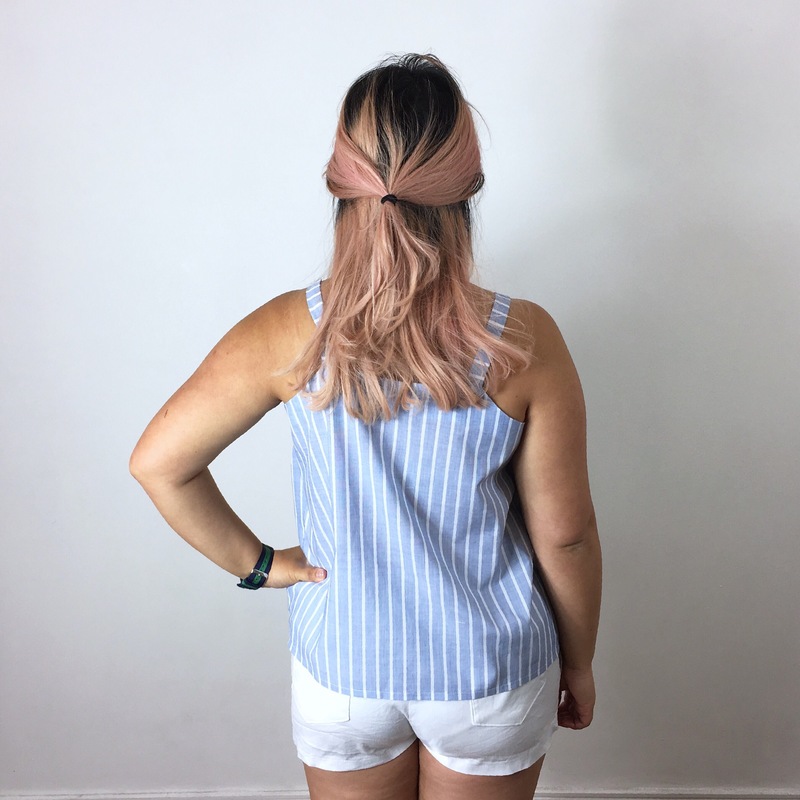 It’s a light blue and white striped cotton. I only had a metre of fabric so I figured it would be perfect for a small project like this! 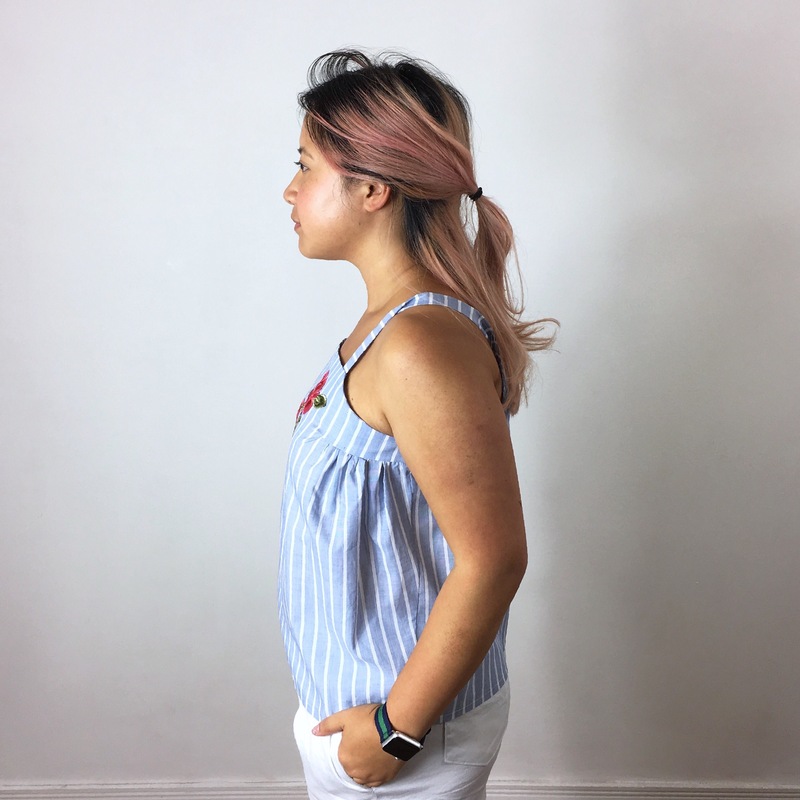 I don’t wear a lot of vests in this shape – the armhole in particular is shaped in a way I knew would make my big upper arms look even bigger – so I knew I’d have to come up with some sort of hack with this. I ended up cutting off the top part of the vest and adding straps instead! This was really easy to do. I made little straps from some thin strips of fabric with I cut in the perpendicular to the grain so the stripes would contrast. To finish, I made a narrow facing to keep it nice and crisp! When I finished it, it felt a little boring. I decided to jazz it up a bit with a piece of floral appliqué that I hand sewed into place. I’m not quite sure the silhouette is for me but for my first time using a magazine sewing pattern, I think it worked out pretty well. I’m heading out for some winter sun in a couple of weeks so this’ll be perfect addition to my holiday wardrobe! 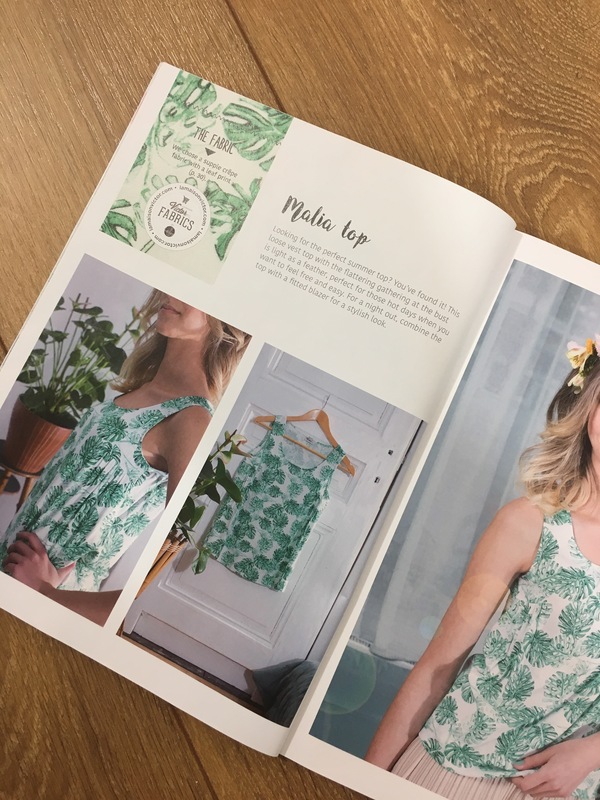 I was quite excited to find a copy of this too last month, love the layout, images etc but likewise my excitement waned when I read you had to add seam allowances….Love your version of this top though and I do want to make the little boys shirt though when I can face doing all that pattern preparation! It looks lovely! I really like the embroidery. Lovely top on you and I really like the addition of the applique! I have not made any patterns from magazines, mainly because I just can’t deal with all the overlap either…makes me crazy! However, you had great success with yours! I love your version. I have this magazine, too! I really love it but I haven’t sewed anything from it yet. I’m planning to stitch up the midi skirt first. I also hate the way magazines lap the pattern pieces with no SA. I mean, come on! At least include the SA. I totally do not get that. Oh well. I’m just happy that there are more English sewing magazines hitting the scenes and I prefer the hard copy magazines, too. I have a Seamwork subscription but I rarely ever look at it. Call me a purist, but I just like flipping through the real magazine pages.